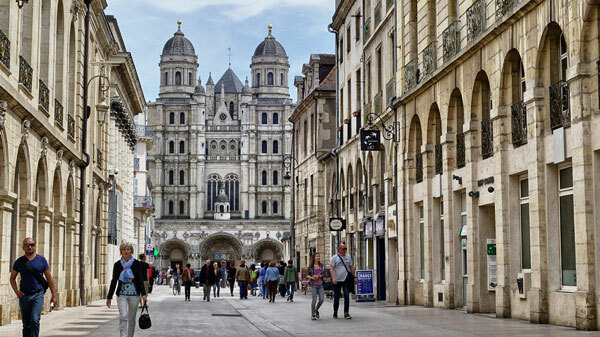 Over 2,150 people gathered in Bordeaux, France for the 8th World Congress of Veterinary Dermatology. This was the largest number of participants ever for a World Congress and included 1,750 delegates from 72 countries. A little over half the delegates were from Europe with 20% from North America and 18% from Asia. Twenty-three sponsors contributed to the success of the Congress. Principal sponsors included Bayer Animal Health, Ceva Corporation, Elanco Animal Health, Hill’s Pet Nutrition, ICF (Industria Chimica Fine), Nestlé Purina PetCare, Royal Canin, Virbac, Zoetis and the World Association for Veterinary Dermatology (WAVD). The Scientific Program included state-of-the-art speakers, supporting reviews and original research in the areas of genetics, allergy, skin biology, therapeutics, infectious diseases and new diagnostic approaches. Over 230 research papers and posters were also presented. Scientific information from the Congress is available at no charge in the Volume 27, Supplement 1 issue of Veterinary Dermatology and in the Advances in Veterinary Dermatology book to be published electronically early next year. Proceedings of the Continuing Education Program are available courtesy of WAVD at wavd.org. The opening ceremony of the Congress celebrated the lives of three prominent veterinary dermatologists ― Robert Schwartzman, Peter Ihrke and Didier Carlotti. As part of the ceremony, Professor David Lloyd was introduced as the third recipient of the Hugo Schindelka Award for exemplary scholarship in veterinary dermatology. The social program allowed participants to interact with colleagues, establish new friendships and exchange ideas in a relaxed atmosphere. Social events included a meet and greet reception at the Bordeaux Opera – Grand Theatre, welcome reception at the Congress Center and a Bordeaux Evening at Chateau Giscours. The WAVD provided scholarships for 30 veterinarians to attend the Congress. Scholarship awardees were from 17 countries and will be sharing scientific information from the meeting with practitioners in their home countries.